Own Our own time IV was performed at the Textile Museum in Borås, Sweden www.textilmuseet.se. 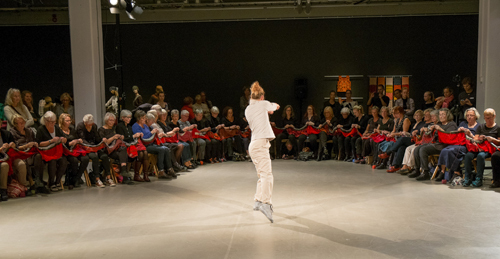 83 knitters saved one hour Boras in the form of a monumental knitting on 10 October, at 13.00 -14.00 . For Own Our own time IV the choreographer Helena Lundqvist created a unique dance piece. The music during the hour consisted of a mix of sounds from the river Viskan which flows past the museum and recorded sounds from machines related to the textile industry. 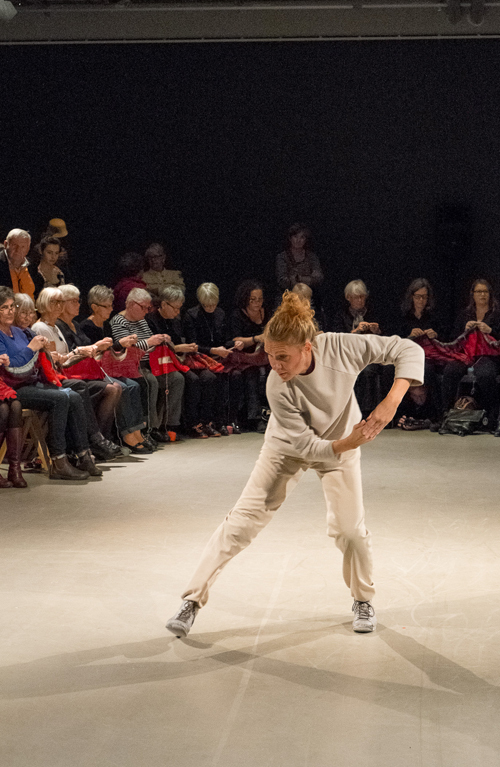 The sounds were processed and adapted to a dance performance by the the composer Tomas Elfstadius and was performed by the dancer Ulrika Liljedahl. 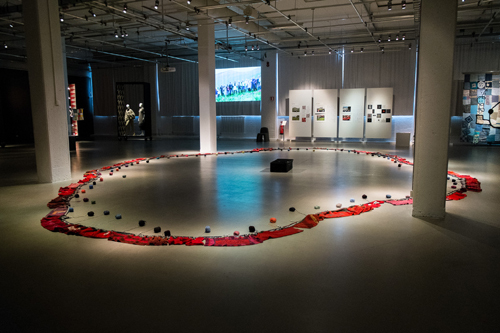 The arrangement was a collaboration between the Textile Museum and RegionteaterVäst Dans in Borås.